FOR Crieff Hydro, and hotels like it, a deposit return scheme (DRS) for Scotland presents an interesting challenge. The potential benefits in terms of increasing recycling and reducing litter are great and to be welcomed – and for hospitality businesses like ours we recognise the competitive edge that prioritising sustainability can bring. Crieff Hydro has a strong sustainability profile, boasting a Gold Green Tourism Award with a five-star rating for its commitment to quality. It’s a commitment we’re proud of and represents a unique selling point for us as a business operating in a highly competitive market in which customers are increasingly environmentally aware. Crieff Hydro is a 900-acre site, with more than 200 bedrooms, 55 self-catering units and six eating outlets, as well as two swimming pools, a horse riding centre and Action Glen activity centre; it’s part of a larger family of hotels that includes a further five locations, with seven bars and 11 restaurants between them. As such, keeping up with customer demand for quality while doing so in the most environmentally-friendly way possible, is not easy. For example, at Crieff Hydro alone we currently present 24 x 240-litre bins of bottles a week for recycling – and often need to organise additional collections during busy periods. A deposit return scheme has potential to help boost our ‘green’ credentials further. Were participation in a Scottish scheme incorporated into criteria for credentials like the Green Tourism Awards, for example, it would represent an added incentive for hospitality businesses like ours to get behind the measure – in addition to the wider environmental benefits. 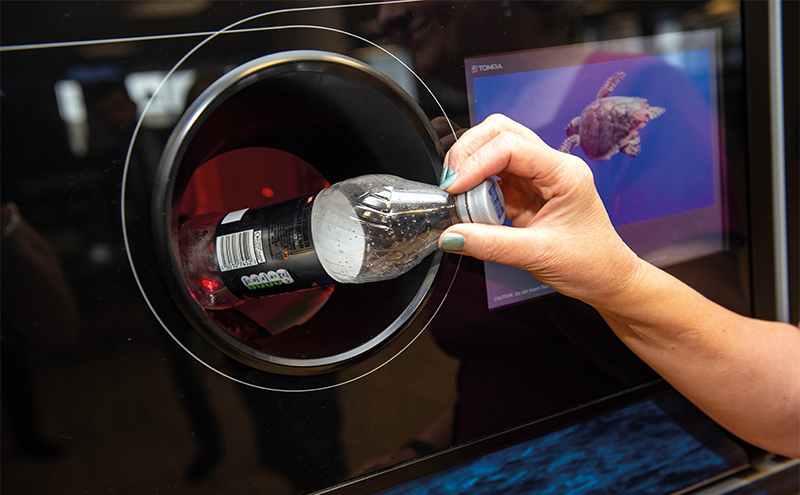 We anticipate that there is also potential for a deposit return scheme to generate cost savings for businesses like ours by reducing the amount of recycling we need to present for separate collection. We estimate that a DRS with no opt-in cost to businesses would represent a significant saving in the cost of commercial recycling uplift – for which we currently pay up to £4000 a year for glass alone at Crieff Hydro. One of the biggest issues for the hospitality industry is storage of empties. We recognise, however, that there are several challenges that a deposit return scheme is likely to present to how we operate our business. Perhaps the most widely-felt among the business community is that of storage – where to keep materials like empty plastic and glass bottles and metal drinks cans in order to redeem the deposit later. Similarly, for large premises like ours, the initial outlay on drinks containers that have a deposit placed on them is likely to be significant – and the timely return of that investment is a key consideration, with huge potential to impact on our budgets. With a public consultation on a deposit return scheme still live (it closes on September 25), we recognise that all options for the design of the scheme remain on the table; it’s only once the scheme design is finalised that it will become clear what the likely impacts will be. That’s why at this stage, the most vital thing for our industry is to ensure that businesses have their say on what a DRS scheme should look like. By responding to the Scottish Government’s public consultation on a deposit return scheme, we’re making sure ministers are aware of the potential impact on our operations and take these into account. We will certainly be responding to the public consultation ourselves, and encouraging our commercial partners to do so too, to help shape a deposit return scheme that has hospitality interests at its core and helps our industry continue to thrive. • Alexandra MacDonald is the welfare and environment manager at Crieff Hydro.